Community activists, preservationists and local elected officials remain cautiously optimistic over Mayor de Blasio's recent statement that his administration would take steps to reacquire the former P.S 64 and CHARAS/El Bohio community center on Ninth Street between Avenue B and Avenue C.
Join Us As We Mark the Anniversary of the late Community Leader and CHARAS Co-Founder Armando Perez’s birthday and Celebrate the Mayor’s Announcement of His Intent to Reacquire CHARAS! With speakers Councilmember Rosie Mendez, Carlina Rivera, Congresswoman Nydia Velasquez, Manhattan Borough President Gale Brewer, Assembly member Brian Kavanaugh, Senator Brad Hoylman, Carlos ‘Chino Garcia, CHARAS, Inc., Andrew Berman, GVSHP, Laura Sewell, EVCC and others! A spokesperson for owner Gregg Singer, who bought the property from the city in 1998, responded that he has no plans to sell the building. 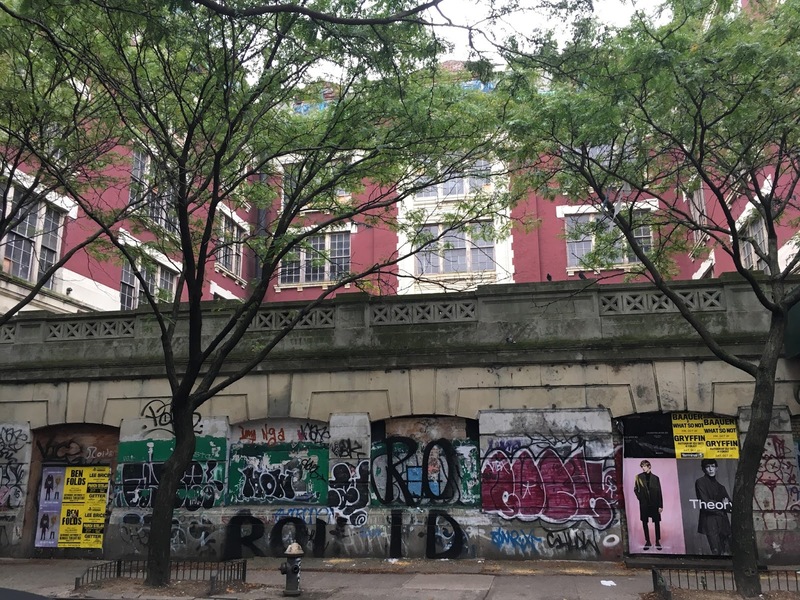 The spokesperson, who said that the city is being a bully, told DNAinfo the appraised value of the property is $60 million, and that Singer "has already poured $80 million into upkeep." Singer, who wants to turn the landmarked property into a dorm called University Square, continues in a holding pattern while the DOB has a Stop Work Order on the building. Great, will be there and tell my neighbors and friends. I'll be there in spirit. It would be nice if these rallies could happen after or before work hours. How far are the pols going to carry on wth this joke? I'd laugh if it wasn't so old line racist - Throw the latinos a bone to get their votes. Mayor Bill is worried about turnout. He needs to do better than 22%. His aspirations for higher office are at stake. He has to prove he can rally the troops. Well, troops...DON'T RALLY. I'm voting but not for any incumbent. MAKE A STATEMENT. I suspect you are right 12:01 that after the election we shall hear no more from Mayor Pay to Play about his interest in ps 64. I would be more impressed if there were a PLAN to reacquire the building. Do they think they are going to shame Singer into returning it? We live in a world that has no idea of shame. Singer has too much invested both financially and emotionally to ever give up the building.